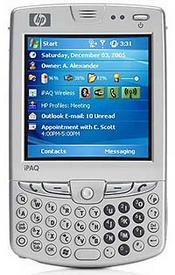 HP has announced that the iPAQ hw6920 and iPAQ hw6925 are both headed to Cingular and are slated to launch on Tuesday. The hw6920 series is chocked full of features, but took so long to come out that the specs aren't as high-end as they once were. On a technical note, the hw6920 and hw6925 are identical with the addition of a 1.3 megapixel camera on the hw6924. Cingular will begin selling these models on October 31st. Pricing will run at $359.99 for business customers with a 2-year contract and qualifying service plan.